On January 21, Arashi won Act Of The Year at The 2017 Arama! Japan Awards. This marked the third year in a row that the group won the top prize at the show. After their win, the group released a statement via fax saying that they’ve graduated from the show. In the grand tradition of Japanese award shows, Arashi has decided to no longer submit their their work for consideration for The Arama! Japan Awards, due to the fact that they’ve won Act Of The Year three times. 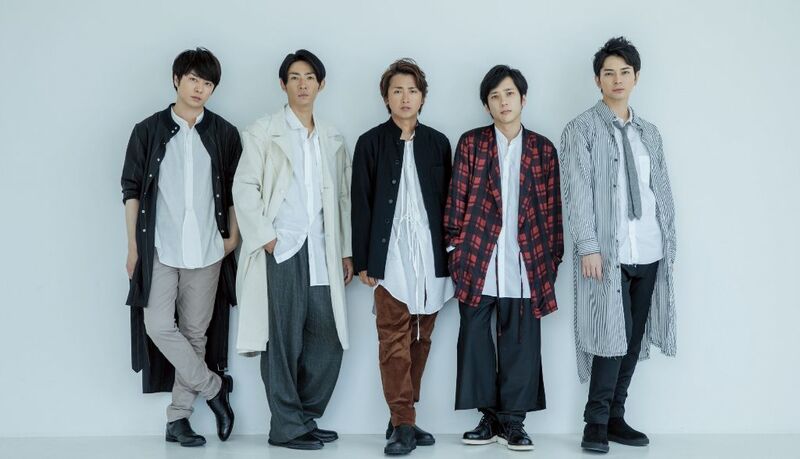 Arashi’s dominance across music, TV, movies, and more at The Arama! Japan Awards has officially come to an end. The group has won more Arama! Japan Awards than any other act. It’s the bittersweet end of an era. Some fans might not be able to let go, and try to submit Arashi’s work for The 2018 Arama! Japan Awards. However, the staff of Arama! Japan has decided to respect Arashi’s wishes and will not consider these votes. We ask that readers please refrain from submitting Arashi’s work, in whatever category, whether group or solo, for further Arama! Japan Awards. Doing so will help us respect Arashi’s wishes. We end this statement with clips of Arashi performing their two songs that won the Arama! Japan Award for Song Of The Year.